Driftwood Studio is within walking distance of many of the Grace Bay resorts. Driftwood is a quaint working studio and art gallery of local artist Lucie Winton. Explore a collection of original paintings, textiles, ceramics, and crafts. Organised art classes are also offered, and are popular with visitors and locals alike. 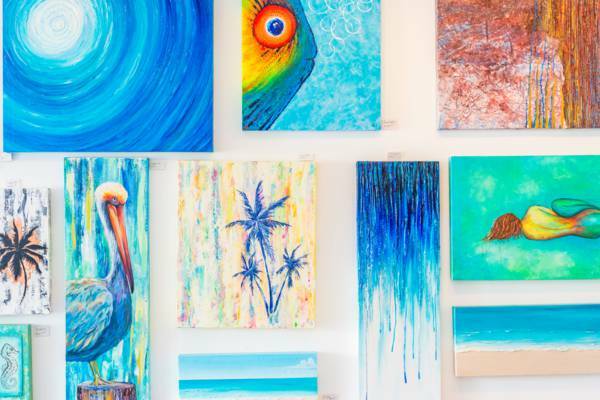 Paintings at Driftwood Studio, Turks and Caicos. Last reviewed by an editor on 30 July 2018.